Brian grew up in the northern suburbs of Minneapolis, his mother a teacher and his father an avid fisherman. In 2001 he moved north, to Duluth and the western shores of Lake Superior to attend college at the University of Minnesota Duluth, where he studied business, but spent as much if not more time learning about fly fishing for steelhead. 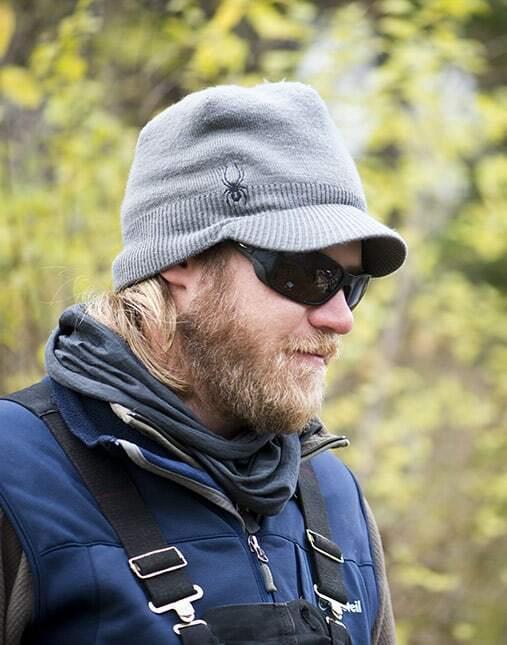 The opportunity for a ‘real’ job was not his top priority after finishing school, and he eventually started working at the Great Lakes Fly Shop where he would begin his guiding career, and develop an interest in photography along the way. Growing up Brian was a musky nut with conventional gear (mostly due to an uncle and father with an affliction for these fish), but had gotten away from it when he moved to Duluth and became more focused on fly fishing. The discovery that muskies are an excellent fly rod quarry led to many years of haunting northwoods musky waters, studying and learning these fish. His dedication and time on the water has given him the opportunity to study these fish on a daily basis, and the learning that has taken place as a result has led to many a musky encounter, some of which have even been captured on film. 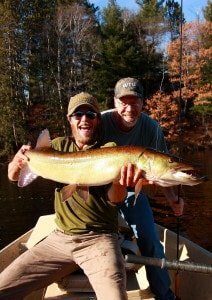 In November of 2011 Brian had the good fortune to put his dad on the biggest musky of his life- caught on a fly that he created. His younger brother also caught the first musky of his life that day, on a fly as well. The high point of that season for sure, and one of the most cherished moments in his angling career.